Martin Conlon is Head of Australian Equities at Schroders and oversees the investment of over $10billion in assets. Conlon’s formative years were during the tougher economic times of the late ‘80s and early ‘90s. In this exclusive interview, we learn how 30 years of experience shapes how he invests today. From my early days as a chartered accountant I was always interested in how a business makes money. My initial working years in the late 1980’s and early 1990’s were in tougher economic times, teaching me salutary lessons on the double edged sword of debt and the downside of ill-considered risk taking, through working on disasters like Estate Mortgage. I was lucky enough to shift from accounting to investment analysis with Schroders in the mid 1990’s and have been there ever since. I still believe having people teach you about their businesses and how they make money is one of the most privileged jobs going around, and it still fascinates me. Piecing together the jigsaw puzzle of small, medium and large businesses which make up the economy gives a perspective which few enjoy. Tell me about your early career? Mentors in the early stage of your investment career are always crucial. Through my career I’ve been blessed with mentors of both exemplary moral standards and strong investment acumen. Stewart Brentnall, Michael Gordon and Ken Lambden all taught me much about investment through the 1990’s, all of which held me in great stead when offered the opportunity to head the Australian equities business at Schroders in 2003. I firmly believe the method, and disciplines through which results are achieved are as important as the results themselves. What has been the biggest influence over your career and why? People and reading. We are all influenced greatly by the people with whom we work and engage. This job offers the invaluable opportunity of working with highly intelligent and thoughtful individuals and engaging with management teams that have been integral to building and growing companies. Additionally, I still try and read broadly. Most intelligent people with something valuable to say have written it down! How would you describe your strategy and what gives you an edge? The tendency towards short-termism has been pervasive over recent years. As data analysis tortures every relationship between share price moves and fundamentals, we are strongly of the view that the edge should be in arbitraging time frames and the path of real value creation, rather than the world of short-term share price moves, which can rapidly descend towards gambling. What has your performance been like and how did that compare to the benchmark? While we had a tough time in 2014 and 2015, we’ve had the good fortune to have had a significantly greater number of strong years in the longer run. As one with strong contrarian tendencies, the strong momentum of recent years has been tough, however, 2016 was a good year given the reversal seen in resource stocks with performance well ahead of benchmark and strong absolute returns. How do you manage risk, especially when markets are fully valued? In simple terms, risk is logically taken when the odds are stacked in your favour and shed when they’re not. Financial leverage is probably the most important thing for investors to think about when it comes to risk, and has totally dominated everything else over the past few decades. Debt is a good thing when falling interest rates provide the stimulus for people to borrow more and asset prices can be driven higher, and that’s been the dominant environment. We are now in uncharted territory in this regard as interest rates reach all-time lows and many assets reach all-time highs. Much of this shift into uncharted territory has been driven by central bank intervention rather than free markets, meaning the maintenance of this environment rests largely on continued intervention. We would suggest the wise investor would be taking a far more cautious approach to financial leverage than would be the case with more supportive conditions. What do you think the market has got wrong at the moment? Aggressive manipulation of interest rates has seen ongoing pressure on any business with capital employed, with investors increasingly enamoured with ‘capital light’ businesses. Many of these businesses have little reason to be listed save for creating an exit mechanism for previous owners, not to mention the significant question marks we have over the durability of these businesses relative to the long duration which is often assumed in their high multiples. I suspect at some stage the market will need to resume the role of being a legitimate capital provider. We remain far more comfortable in businesses where investors have both an awareness of the business cycle and have priced businesses accordingly. Sectors such as resources and energy which have plentiful recent evidence of volatile cyclical conditions are in general, priced accordingly. Those where cycles have been artificially suppressed and/or inflated (financials) offer no such margin of safety. We are exceedingly cautious in areas such as healthcare and technology where valuations offer almost no scope for error and where investors seem to believe the disruption which is so evident everywhere somehow doesn’t apply. What are the most important lessons that you've learned over the years? Try not to be arrogant, read broadly and surround yourself with smart people. As soon as you think you know a fair bit about something you’re probably about to find out you know less than you thought. Looking for more interviews like this? To access more interviews like this please visit our CIO Profiles keyword page by clicking here. 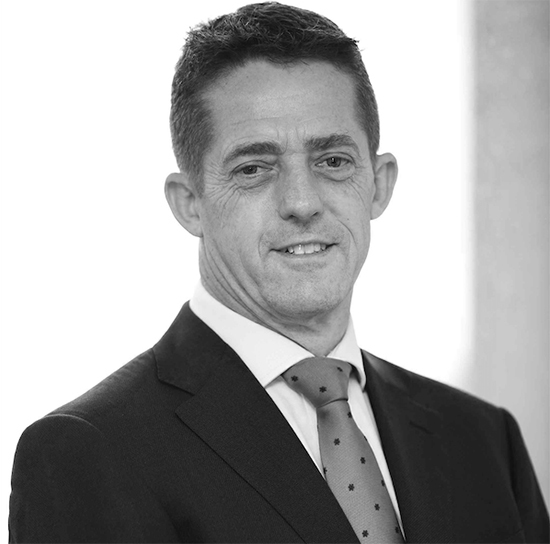 Martin Conlon is head of Australian Equities at Schroders and is a guest speaker at the sold out Livewire Live 2017 investor forum.